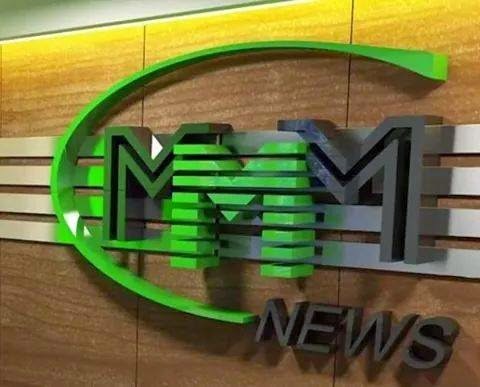 MMM continues to develop actively! We are willing to encourage the community members, so we are happy to share with you a wonderful piece of news about launching "the lottery". Here you can win a lot of money and bonus prizes: iPhone 6s, laptops, tablets. "The Lottery" is held once a week — every Wednesday. The total money prize is $64,000! To win you need to match 2 or more winning numbers out of 6 that are generated randomly. The more numbers match, the more money you win. In addition, bonus prizes, such as iPhone 6s, 3 laptops, 3 tablets, are raffled among all participants of “the lottery” every week! “The Lottery” takes place on Wednesdays, from 9:00 till 9:50 (GMT), in real time mode. You can participate both online and offline, picking the numbers in advance. After the drawing you can see the results at any convenient time in the Personal Office in the section “Lottery”. 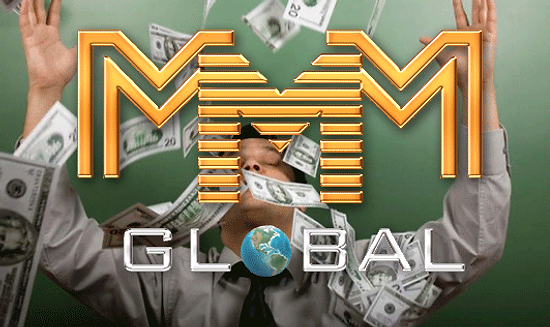 ALL registered participants, who have Mavro on their accounts, can take part in “the Lottery”. 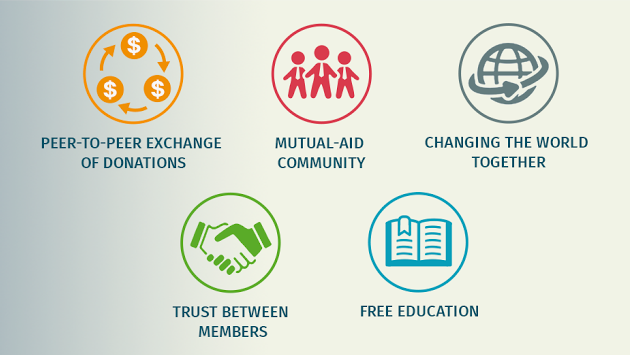 It means all who provided help or got MAVRO as a bonus (for example, for inviting a newcomer). 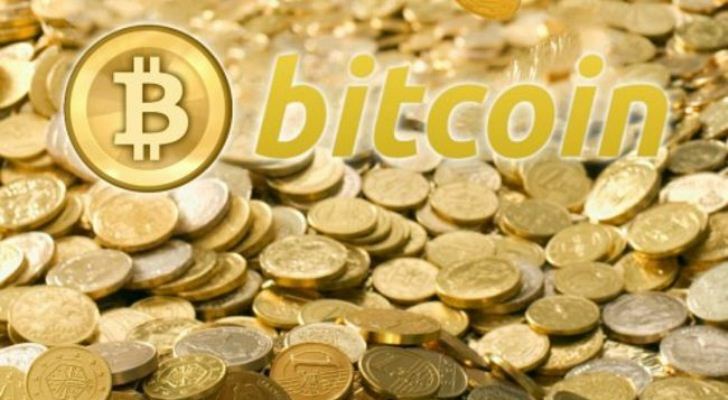 On Wednesday, at 9:00 (GMT) (10 minutes later after the end of the drawing), participants get the opportunity to enter 6 numbers for the next drawing. You can change numbers at any time until 9:55 (GMT) next Wednesday. The possibility to enter/change the numbers is terminated 5 minutes before the next drawing. Those who have matched all the 6 numbers. The prize fund is $50,000. Jackpot! For example, if there are 20 winners in the 3rd category, each of them will get $150 (the prize fund $3,000/20 winners = $150). However, the minimum prize sum in each category is 1$. So none of the participants will get less than one dollar. 5. 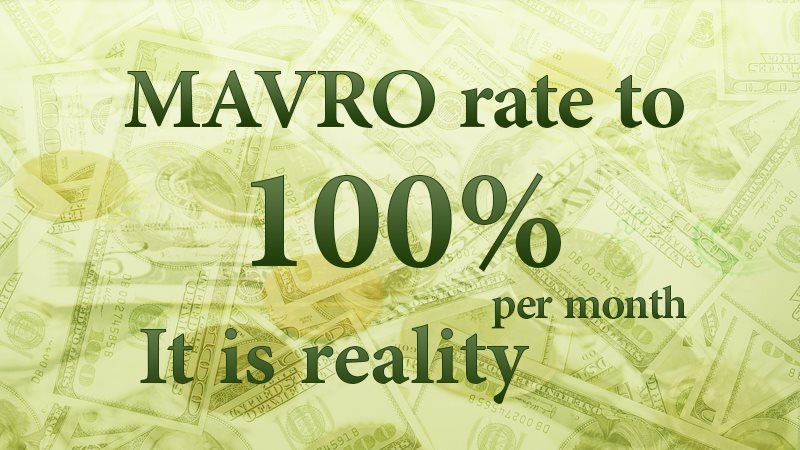 “The lottery” winners get their prize in MAVRO-30%. The winner can take all money at once by creating a request for getting help, or leave this sum in the Personal Office for the 30% growth per month. You can participate in “the lottery” offline by picking up 6 numbers in advance until 9:55 (GMT) or participate online. If you participate online, you pick up the first number before the drawing begins. If it matches, you pick up the next number and check if it matches or not. If it matches, you pick up the next number, if it doesn’t — you lose the opportunity to enter any more numbers. At any time you can go from online to offline mode (for example, if you are in a hurry) and enter all the numbers at once. If you enter two numbers and they match, but you want to go somewhere — just enter the remaining numbers and leave. When your return, you can see the result. You can go from offline to online mode at any time too. For example, if you enter all 6 numbers before the drawing, and then enter “the lottery" and see that 3 numbers match the winning ones, you can start to participate online and change the already entered numbers (starting from the 4th). You enter numbers that you think can match in the box. Then click “save”. The button “clear” delete all entered numbers. “Random numbers generator” generates random numbers. You can use it if you don’t want to enter numbers by yourself. Before the drawing starts you can change numbers as many times as you want. At 8:59 the first picked number is fixed. The fixed number cannot be changed, but you can change the next ones. At 9:09 the first 2 numbers are fixed (if the first number matches, you continue to participate). At 9:19 the first 3 numbers are fixed (if the two numbers match winning ones, you continue to participate). At 9:39 five numbers are fixed (if the four numbers match). At 9:49 all six numbers are fixed (if the five numbers match). We remind you that you can enter all numbers at once and go out, and then get back and change any of the unfixed figures. If you want, you can fill in the rest of numbers with the random number generator, in order not to enter them manually. How to win bonus prizes? Every member of the MMM South Africa can win not only money but bonus prizes — iPhone 6s, 3 laptops, 5 tablets! Every Wednesday after the end of “the lottery” the winner is picked up randomly. If you win a prize, you need to record a video about getting your prize! Take part in MMM and win money and cool prizes in “the lottery” every Wednesday. Do not miss your chance!